It was a matchup of a pair of 3-4 teams, both of whom needed a win in the worst way in order to keep their playoff hopes alive. Both Jacksonville and Philadelphia had lost three of their last four games and were looking to reach the .500 mark at the halfway point of the season. For the Eagles, it was a successful venture in their first-ever trip to London and a good-feeling bye week ahead. For the Jaguars, it's more misery, more injuries, more questions about what's wrong with the defense. And a bye week in which roster and starting lineup changes could be coming. 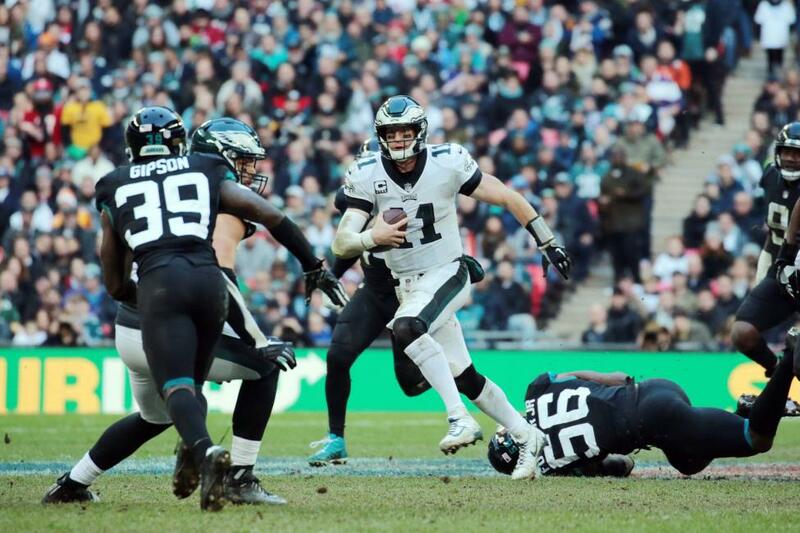 Philadelphia used another solid performance by quarterback Carson Wentz and a strong defensive effort that allowed just one touchdown to post a 24-18 win over the Jaguars Sunday in front of a sellout crowd at Wembley Stadium. Wentz and Jaguars quarterback Blake Bortles both finished with identical 286 passing yards, but Wentz was the benefactor of a stronger running game. The Eagles finished with 133 yards on the ground compared to just 70 for Jacksonville. That proved to be a difference-maker as Philadelphia was able to sustain drives by running the ball at the Jaguars. What makes that accomplishment more significant is that the Eagles were using a patched-up offensive line due to injuries. At one point, both of their starting tackles, Lane Johnson and Jason Peters, were on the sideline nursing injuries. Starting center Jason Kelce also missed some time early in the game with an injury but he returned shortly thereafter. Wentz completed 21 of 30 passes (70 percent), good for the 286 yards and three touchdowns. He did have one interception and lost a fumble but otherwise was solid throughout. He drew the praise of his coach afterwards. "Eliminate those two turnovers, I thought he played extremely well," Eagles coach Doug Pederson said. "Led the team, played well, played tough. Made some tough scrambles for some first downs. Hung in there. Just made a couple great throws on those touchdowns to the tight ends, then obviously the screen pass to Wendell. Yeah, I thought he played aggressive. He played hard. He played tough. Really kept us in the game." Wentz spread the ball around among his 21 completions, connecting with eight receivers including himself. He caught a batted ball and dove forward for a first down that kept an Eagles drive going. His TD tosses were 32 yards to Dallas Goedert, 5 yards to Zach Ertz and 36 yards to Wendell Smallwood. Four Wentz passes went for more than 30 yards and were to four different receivers -- Nelson Agholor (39 yards), Jordan Matthews (36), Smallwood (36) and Goedert (32). The Eagles top receiver, Alshon Jeffery, was held in check by Jacksonville cornerback Jalen Ramsey as Jeffery finished with four catches for just 35 yards. Afterwards, Wentz talked about the significance of the win to get the Eagles squared up at 4-4 on the year. "It's huge. Being .500, still not where we wanted to be or had hoped to be," the Eagles QB said. "Going into the bye week knowing that the real meat of our schedule, the NFC East, is ahead of us when we come back from this bye, huge momentum and win for us heading into this (bye week). "Everyone is obviously excited heading into the bye week to get a week off, to get our minds and bodies right. I think everyone is pretty excited we're going back with a win and not a loss. Everyone needs a week off. This is the National Football League. Guys are getting hit, beaten up all year long. Fortunately ours falls right in the middle of our season which is nice." While the Eagles locker room celebrated in style with a win, the mood was quiet and somber across the way in the Jaguars dressing area. Jacksonville was also looking to even its record at the halfway point and was riding a three-game win streak in its last three trips to London. The Jaguars finally won a turnover battle (they recovered a fumble and had an interception while they lost one fumble), but there were mistakes elsewhere, physical and mental. Afterwards, Jaguars head coach Doug Marrone said his team had a lot of areas to fix and that the first one was on his shoulders. "We've got a lot to do. 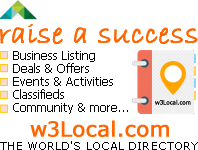 I think we've got a lot to do in a lot of different areas," Marrone said. "I've got to first, you know, it starts with me. I've got to do a better job. Obviously my message is not getting across. So I'm responsible for everything that goes on and it's my responsibility. "Then from there, we've got the bye, we're 3-5. Take a real good look at a lot of things and the first thing I look at is where I need to improve, what I need to do to get this team focused and playing the way that they have the potential to play." There were few bright spots for Jacksonville, but one of them was the play of Bortles. The Jaguars QB had not looked good in the previous three defeats, throwing five interceptions, losing three fumbles and throwing but two TD passes. But Bortles protected the ball in this game and was on target most of the time. He finished 24-of-41 (58.5 pct) for 286 yards and one TD but no turnovers. Bortles also led the Jaguars in rushing with 43 yards on eight carries. But the Jaguars quarterback put wins over any individual statistics or accomplishments and the fourth straight defeat had an impact on him. "It was frustrating," he said about coming up short against the defending Super Bowl champions. "I think any time we go through a week of preparation and things are done right throughout the week, and we get out here and mess it up or don't make the play or whatever, it's frustrating. But it's not -- I'm not mad at anybody. I'm not mad at myself. I get frustrated with everybody and myself included, when we don't do the things that I know we can do and I know I've watched us do on a weekly basis. "I think that's all we've got to do is continue to find a way to just be ourselves and make the plays that everybody on our offense can make. I don't think anybody needs to be superman or do anything special. We've just got to do whatever we're all capable of." Another positive for the Jaguars was the placekicking of Josh Lambo. He converted all four of his field-goal attempts from 24, 33, 51 and 57 yards to run his streak to 23 consecutive field goals, a new franchise record. The 57-yarder ranks as his career best and is the third longest in team history. The weekend didn't start well for the Jaguars. On Friday night, four players -- starting strong safety Barry Church along with three reserves in the Jaguars secondary (Ronnie Harrison, Jarrod Wilson and D.J. Hayden) -- were detained by police following an incident stemming from an unpaid bill at a London nightclub. The Sun, a UK media outlet, reported the four detained players were accused of attempting to leave the establishment without paying a tab that had reportedly reached over $50,000. According to the report, the players believed the bottles of champagne and other high-end liquors sent to their table were complimentary. When the bill was presented to them, the players refused to pay it, believing it was not what they owed. An argument followed and it's unclear if there were any punches thrown, but there clearly was a confrontation. The Sun reported that the four players were detained by London police for about nine hours and were released after the bill was paid. Several other Jaguars players were reported to also be in attendance including starting linebackers Telvin Smith and Myles Jack and running back T.J. Yeldon but they were not detained by police. Marrone didn't offer many details when questioned about the incident after the Jaguars loss. "Whatever happens and whatever goes on, I'm responsible for it," Marrone said. "I'm not really going to go into all of the specific details. We're still gathering information from it. But obviously, before we start going on the field and performing better, we've got to take a good look at what we're doing all the other times, when we're in the building, out of the building and all those things."